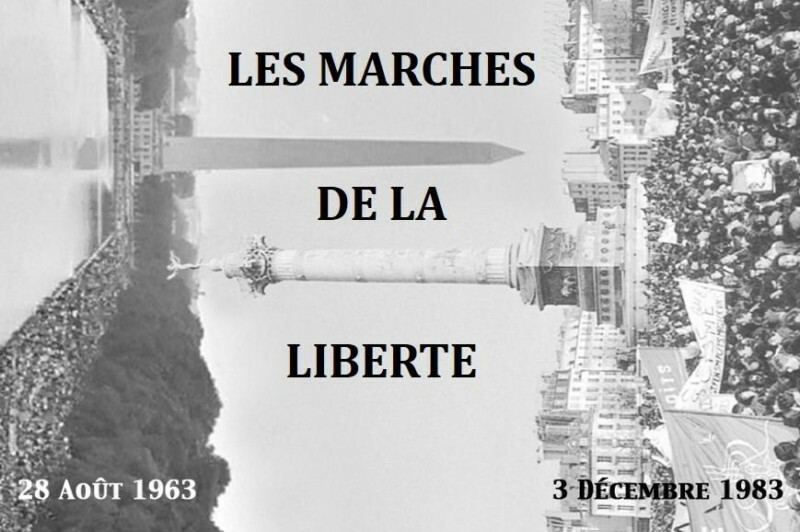 Inspired by the 1963 March on Washington, the March for Equality and Against Racism took place in France in 1983. The documentary film “Steps to Liberty” examines those events through encounters between young Americans who traveled to France, with the French citizens they met. Their interaction provides a look at race relations in France and raises important questions about the impact of the marches. The screening is being hosted on October 27, the 10th anniversary of the deaths of French teenagers Zyed Benna and Bouna Traore. The boys were electrocuted in 2005 after running from police, which ignited a wave of unprecedented uprisings in France’s poorest neighborhoods. Following the screening, join us for a discussion with the filmmaker, educator Dr. Crystal Fleming, writer Mychal Denzel Smith and activist Brittany Ferrell. Hosted by WNYC’s Arun Venugopal. You can also watch via live video webcast below at 7pm ET. Thanks to our presenting partners, Global VPA Communications and the Schomburg Center for Research in Black Culture. Rokhaya Diallo is a French journalist, writer and award winning filmmaker, widely recognized for her work in favor of racial, gender and religious equality. She is the co-founder of the INDIVISIBLES, the association behind the “‘Y A BON AWARDS”, an annual parody of the Academy Awards “honoring” French public personalities who made the most outrageous racist remarks during the year. After having authored several books on racism and identity, Diallo released her first graphic novel, Pari(s) d’Amies, a comedy about a diverse group of thirty-something friends in Paris, and her first photo book, Afro!, featuring 100 Afro-Parisians who made the choice of wearing their hair au naturel. She has had articles published in the U.S. in the Huffington Post and The Root. She is also a TV and radio host at Canal Plus, RTL, France 2 and I-télé. Follow Diallo on her bilingual blog or on Twitter @rokhayadiallo. Dr. Crystal Fleming is a writer, educator and assistant professor of Sociology and Africana Studies at Stony Brook University. Her book “Resurrecting Slavery” draws on two years of fieldwork in Paris to assess how activists, politicians and ordinary people interpret the history and legacies of slavery. She also studies the racial attitudes and policy views of French Caribbean migrants. This year, her article “Theorizing Ethnoracial Movements in the Global Age: Lessons from the Civil Rights Movement” (with Dr. Aldon Morris) appeared in the inaugural issue of The Sociology of Race and Ethnicity, a journal of the American Sociological Association. Since 2008, Fleming has appeared on French TV to discuss race and politics. Her writing on spirituality, sexuality and race appears on her blog, social media and venues such as The Huffington Post and Everyday Feminism. Mychal Denzel Smith is a contributing writer at The Nation, a blogger at TheNation.com and a Knobler Fellow at the Nation Institute. He is the author of Invisible Man, Got the Whole World Watching, forthcoming from Nation Books. He is also a freelance writer and social commentator. His work on race, politics, social justice, pop culture, hip hop, mental health, feminism and black male identity has appeared in various publications, including The Guardian, Ebony, theGrio, The Root, The Huffington Post and GOOD magazine. Brittany Ferrell is a 26-year-old St. Louis native. Shortly after the height of the protest movement following the murder of Michael Brown by Ferguson police officer Darren Wilson, Brittany took time off from school and work to co-found what is now known as Millennial Activists United (MAU)—a grassroots activist collective for youth organization. Since its founding, MAU has led many of the protests in St. Louis, organizing courageous acts of civil disobedience, while also representing and advocating for all black lives including black women and LBGTQ. MAU has played a pivotal role in Ferguson, and the movement throughout, connecting the importance of intersectionality to black liberation. Brittany is a nurse, a mother to her 7-year-old daughter, and married to Alexis Templeton, co-founder of MAU. Follow her on Twitter @bdoulaoblongata.